Sam Smith opens his mailbag to answer readers' questions. I appreciated the comments on the defense. I thought the two things that made the game winnable against Orlando and Cleveland were Lauri's shooting and the team defense. 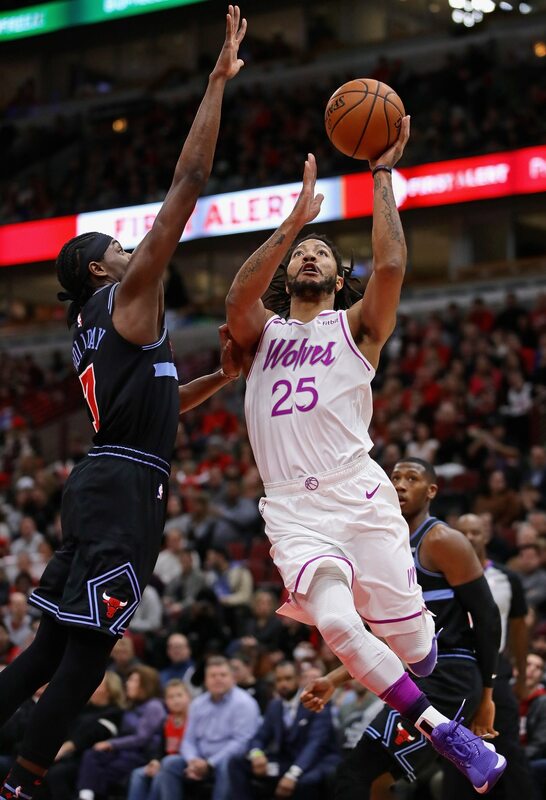 It has happened a few times this year that this Bulls team played defense with the tenacity of a Thibs team, or the VanLier/Sloan/Love teams of yesteryear, and this was one of those times. It made the game fun to watch, and Lauri's shooting gave it a happy ending. Sam: It's like buying a car. Sometimes you see a fancy model that looks impressive and then you take it for a test drive and it's not quite what you believed. That's often the way it is with sports in Chicago. It's like when the Bears hired Marc Trestman, the offensive guru. And things looked good for awhile and it made sense with the rules changes to open up the game. But that style doesn't fit everyone, and it doesn't fit Chicago. You know Monsters of the Midway and all that stuff. Our football onomatopoeia, Butkus and Ditka, names that sound like a tackle. And so it was for the Bulls as well. The NBA changed the rules to open up the game, increase scoring, limit interior contact, and the Bulls went along with the trend, reasonably enough since it seemed to be working well for the Golden State Warriors, and the Bulls hired Fred Hoiberg. But you could sense the ambivalence as the team drafted defensive oriented players like Bobby Portis, featured Jimmy Butler, drafted again a defensive player in Chandler Hutchison. Defense is in the team's DNA, in the city's DNA. So the Bulls gave the fancy fast sports car offense a whirl and it just didn't feel right. So they're going back to the pickup truck. It helps occasionally to have a Ferrari in the mix like Jordan or Rose, but the Bulls spear to be going back to the foundation with which they are comfortable to rebuild. 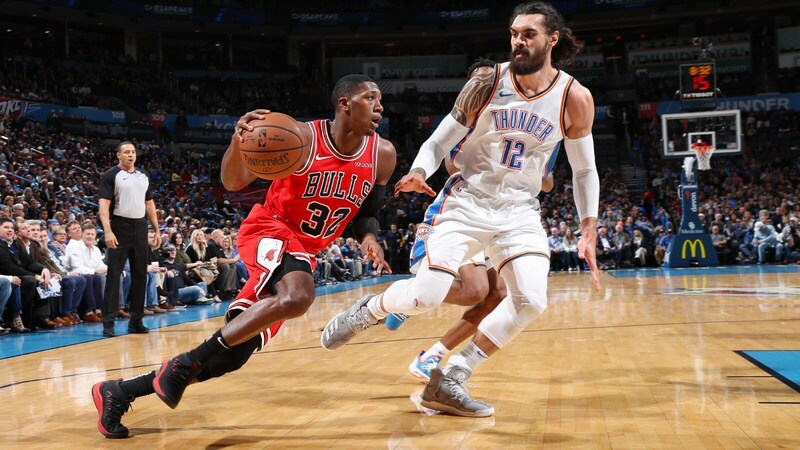 Well, Dunn has started to look like the guy we all thought and hoped he might be, finding his shot at the top of the key, getting good assist numbers and rebounds and low turnovers. 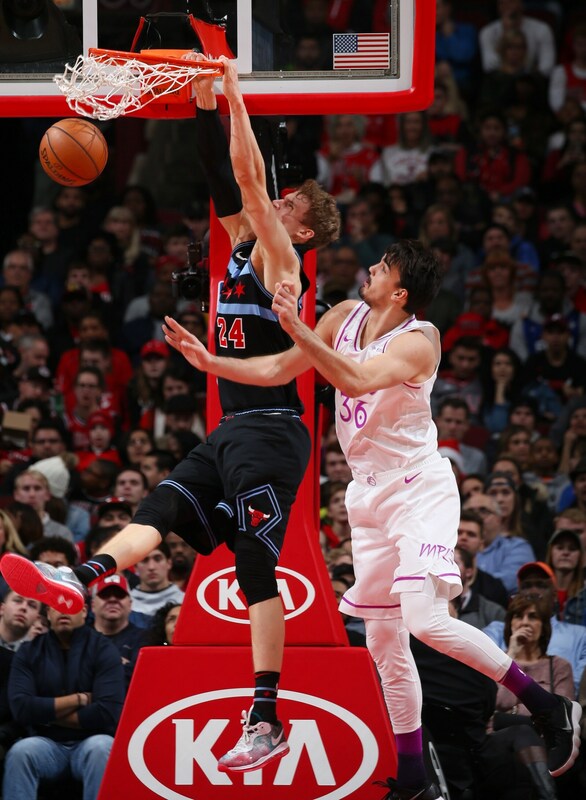 Markkanen is a lock for All-Star maybe even next year. LaVine is going to average 20 ppg and Carter will be a nice 12 and 10 guy once he gets these fouls under control. It seems to me we need a SF and hopefully one of the 3 Duke guys to round out the starting rotation for the next few years and there isn't really a close second in need. Maybe risk a Bol Bol pick if he is there at 7 or so if this winning continues and we finish similar to last year. Sam: I guess just start printing the playoff tickets? I don't much follow the college draft yet other than late at night if I can't sleep I watch college basketball to see the repeat patterns and quickly fall asleep. Like everyone, I have seen the Duke players in their Hall of Fame enshrinement blazers, and they seem like they will not need to start in the G-league. Small forward is the obvious crater for the Bulls. Oh, right Jabari Parker? Never mind. Anyway, the way things are going the Bulls likely will have a high selection in this draft in which the teams with the five poorest records have similar odds for the top picks. The Bulls likely will explore free agency as well and I'm convinced they'll be able to add a good player not named Durant or Leonard. But more rests with Dunn. He is starting to put up impressive lines with a near triple double the last three or four games. He's still got plenty to learn as a point guard in quickly identifying mismatches, making quicker decisions and finding a longer shot. But he's done some terrific things and probably has the most reliable mid range shot on the team. With his long arms and movement, his pace looks a bit languid at times. The test comes now as he finally gets to play with LaVine and Markkanen, and has to make them better while not taking a step back of his own. Dunn reminded everyone how effective & useful a mid-range game can be. His game has a distinctive 90's feel to it, but it would be masterful in any era. Fun and satisfying to watch. He's a better distributor than LaVine because he's a different player. Archidiacono is the most natural distributor on the roster right now. A locked-in Dunn presents the other side-problems all over the place. I need to see him do this for 40 games before I'm a believer though; fight through slumps and countermeasures. Love Harrison. Wish he could shoot. He reminds me of a younger, more athletic Keith Bogans. Sam: I was able to make a Keith Bogans reference with Thibs before the Minnesota game when Thibs talked about that fun 2010-11 team. Two Bogans references in a week is always a good week. There is something to be said for that mid range game, and I'm actually glad to see that Dunn isn't forcing threes like so many players do. And shooting a layup when he's open rather than throwing out for a three. Can you believe how often they do that! I always remember the baseball third base coach yelling to the 5-4 second baseman swinging for the home run every time: “Remember who you are!” Dunn has done a good job of that. I would like to see him play with more pace, though that's not the style of the team for now. Again, the test should be coming with athletes like LaVine and Markkanen. The Bulls can get more of those easy scores with them; will they try? In the short time I've seen LaVine and Dunn together on the court (which is minimal). I don't believe they can co-exist. LaVine is extremely high usage with a ton of questionable decision making and atrocious defense. On the other hand Dunn has high usage, but he's a lock down defender and shows when LaVine is not on the court he can be that go to guy and a great compliment to Markennen. If I had to choose one I would choose Dunn. Its not saying to trade LaVine, but I wouldn't be crying if Paxson decided to make a move to get players that were better fits with Markennen. Markennen seems to struggle more with LaVine as Zach holds the ball so much and either takes a contested shot or someone like Holiday or Markennen gets the ball with minimal time left and needs to rush the shot. I think there's been better ball movement since LaVine's been hurt and Parker has been bench. Should the bulls look towards more of Korver, Reddick type shooter to pair with Dunn long term. I like Hutchinson's potential as a future starting Small Forward. Someone like Cam Reddish would be a great fit opposite Dunn. Sam: Well, that was a quick look. Can we give them two starts together? I guess you can call me naive, but I still believe it's good to have more talent. Plus, I'm not sure fit is the priority when you're at the bottom of the conference. It's still, to me, about stacking talent and determining how it does. I don't see why the three of them can't work because they seem to get along and they don't appear to have personal agenda. Yes, LaVine likes to have the ball as a scorer, but you do need players who can make tough shots. He has shown he'll pass the ball. Which actually has been a problem because he often passes it to the other team. He'll get better at that playing with the same players in an actual rotation, which hasn't happened often. Markkanen has shown he can spot up and shoot when needed. He needs to regain some of that summer muscle he lost out two months with his injury. Plus, you don't have to post just a big man. Dunn and LaVine can post. Markkanen can grow into it. But you also need an inverted offense with Carter shooting. Thus far he's been too hesitant, but he's got a good stroke and I'm confident will be a good three-point shooter. They all need to get stronger and tougher, but so do most 22 and 23 year olds. That 6-shot game may be the best thing that's happened to Lauri. It pissed everybody off (and rightly so) to the point where they forced the ball to him... and he showed them what he can do, twice. His 3-pt. range is murder, but I love those driving dunks. Remember when we realized he was better than we'd thought?Well, now he's better than we thought then. It's between Markkanen & Tatum for best of the 2017 draft, and we may not be sure which one for a few years. Sam: So let's take a look at that draft lottery again: Fultz, Ball, Tatum, Jackson, Fox, Isaac, Markkanen, Ntilikina, Smith Jr., Collins, Monk, Kennard, Mitchell, Adebayo. If you redid that draft today, you'd probably have Tatum first and Markkanen maybe second. Last season, the buzz was for Donovan Mitchell. But he's become more a volume shooter with a more limited game. Sure, still a great pick at No. 13, but maybe three or four. I always liked Fox, who is emerging as a top point guard. And that's probably the game's most important position these days. Maybe he could be two. But with Markkanen's height and versatility and growth possibilities, it's certainly reasonable to list him second and no worse than third or fourth. I know it's not a popular sentiment around Chicago these days with the redevelopment of the Bulls, and I'm sure many will suggest this merely is the web site defending its own, but they never ask me to do that, and for that I am appreciative. But this is a Bulls building project mostly through the draft, and it's a management that's done very well with low first round selections like Jimmy Butler and Bobby Portis and five-to-10 selections, which are not your no brainers, of Markkanen and Carter Jr. If you're building mostly in the draft, why would you want to have someone else making those picks? Sam: Do you? Really? Charles is very entertaining and as good an ambassador for the NBA as you can have. Perhaps no one I've even known in the NBA is more approachable and personable. If they didn't name teddy bears for Teddy Roosevelt, they might be called Barkleys. But not a whole lot of the TV famous people who talk about the NBA on TNT and ESPN watch that much basketball. They played a lot, certainly. But being good at something doesn't mean you know how it works. I'm a heck of a driver of cars, but don't ask me to find the difference between the spark plug and the tire jack. I know it's popular to put former players on TV as analysts, though the reason most played was because of their fabulous skill. Not their fabulous analytical powers. It's a great talking point because the Nuggets have done well, but I see them more as a nice ensemble team with various contributors and he's one. 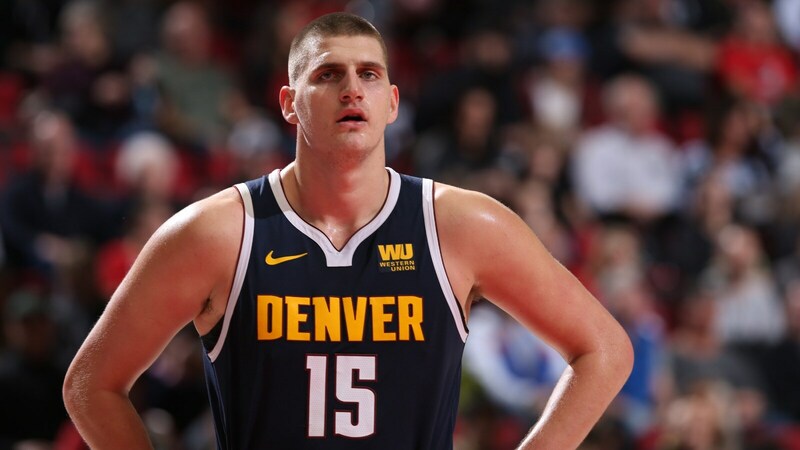 I don't see Jokic in the top 20 in the league. Put it this way, I probably could name 20 players I'd rather have on my team. Just look at big men: You'd certainly want Embiid and Anthony Davis. I'd prefer Karl-Anthony Towns and most would have taken Cousins before his injury. He should come back. Harden, Westbrook, Curry, Durant, Antetokounmpo, LeBron, Kawki, Kyrie, Paul George. That's about a dozen and I can keep going. I'd probably take Klay Thompson, LaMarcus Aldridge; heck, I'd take rookie Ayton because I think he's going to be much better. Maybe even Jimmy Butler and Bradley Beal. There's no shame being say the 20th best, but, really, a league MVP? Not quite. He's good, but still a but slow for my taste. You think benching Jabari Parker per game guarantees a victory? Okay, so we beat the Cavs by 20, that doesn't mean we're going to do that to every team, Jabari Parker was listed as available/Chandler becomes the backup Power Forward? So what happens if we play a much harder team than the Cavs/Chandler gets injured? What, we end up playing an even shorter guy? If Boylen isn't going to play Parker, he ought to get him traded. I like Jabari/don't like the fact he's not good at blocking/tends to hog the ball at times too, but this not allowing him to play when he's available is starting to bug me. Sam: It's a conundrum wrapped in an enigma wrapped in.…, oh, forget it. The way the NBA works is the coach makes up the lineup. Management provides the players and the coach decides how to use them. 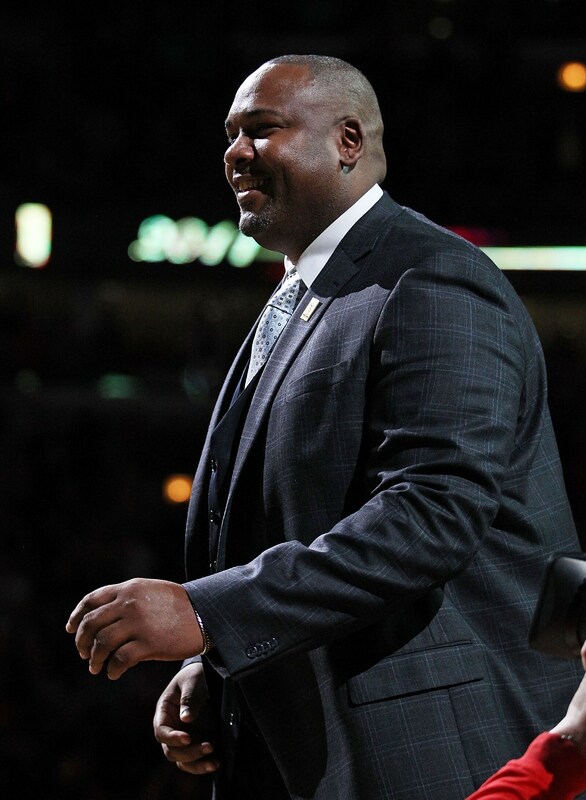 The Bulls just changed coaches, so they have to allow Boylen ride it out like he wants. I understand his point that he's building a defensive-oriented team and needs those players, and those players need to see that if you aren't committed to defense, you're not going to be in the rotation; accountability and all that. I've been no fan of Parker, but he is a professional scorer and a physical player. He is coming off a second ACL injury and did play serious offense. I would like to see him get another chance given the paucity of scoring options, especially with the second unit with LaVine back to starting and Portis still out. But no one but a few readers is seeking my opinion on this. What a great Christmas story! Everyone thought the Derrick Rose trade was a good one for the Bulls. No one ever imagined he would ever get close to his MVP level of play again. As a Bull, everyone thought he would be playing on Christmas Day for years to come. Now relegated to playing on Boxing Day, he comes out with a vintage prime time performance, carrying his new team and making me think he can still lead a team to a championship someday. Gotta love sports! Sam: Yes, sports. That's been a wonderful story. You could probably make a great holiday movie about what life would have been like if he never were…Oh right, they did that. What we all should feel is good for Rose instead of what if. Like you said, no one saw this coming, and every team had a chance to bring him in after he was released by the Knicks and then Jazz (via The Land). 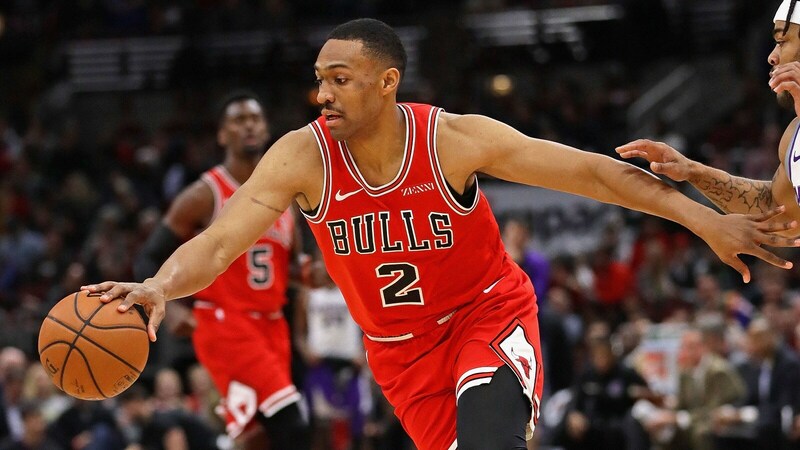 It was the right deal for the Bulls at the time, and probably even more so with what Rose went through with injuries and absences in New York and Cleveland. We know Chicago never would have put up with that. So you have it right. It's just a wonderful life. As a huge Derrick Rose fan, watching his highlights of his 50-point game literally brought tears to my eyes. The fact that he put up one of the biggest games of his career after everything he's been through is nothing short of amazing. The way he's passing, shooting, driving, and finishing without dunking, he looks fresher than he has in years. If he can continue to play at a high level for however many years he can still play do you see him being able to reach the hall of fame? Sam: There was a debate in Chicago after Rose's terrific game against the Bulls this week about whether the Bulls should retire his number. That's debatable, though he certainly had a greater impact on the team and the game than Bob Love. The Bulls are sparing with jersey number retirements, but Rose if he gets through another year or two, or maybe even if he doesn't, should be in the Basketball Hall of Fame. I know it's popular with Rose's injuries and issues to say he'll be the only MVP not to make the Hall of Fame. But you can make the case he already is more accomplished than Bob McAdoo who won titles coming off the bench and, after all, what did Steve Nash ever win, and we know he'll be going in. First to the dismay of NBA enthusiasts, the Hall of Fame is about all basketball. Rose was a multiple state champion as a prep player and went to the final game of the NCAA tournament. So he succeeded at all levels. His career reminds me of that of Hall of Famer Bernard King, who was an elite scorer (never with great teams) who suffered an ACL tear and sat out two years and then came back and eventually made an All-Star team. Rose might the way he is playing, but he also could be in the running for Sixth Man or even Most Improved. Coming back to this level with multiple All-Star games, Rookie of the year and MVP on his resume is the stuff of the Basketball Hall of Fame. When I get the chance to watch the Bulls on TV, I'm usually impressed with Stacey's knowledge and insight of the game. I was wondering more along the lines of whether Stacey has been considered for a head coaching gig or if he's thought about throwing his hat? Sam: Be grateful that you can listen to Stacey on the broadcasts. He's one of the most knowledgeable on TV—especially for a former player—who isn't afraid to voice contrary opinions and have some fun with the broadcast with a wicked sense of humor. But coaching is a lot harder and more time consuming than you might think, involving exceptionally long days off watching film and working practices and schedules and endless annoying media questions. I think Stacey likes his position just fine. Though Chuck Swirsky tells me he could coach rings around Popovich. Hypothetically you have a draft class of Lew/Kareem, Moses M., Wilt, Bill R.,Hakeem. In today's NBA what would teams do with these all time players who probably would've never been capable of jacking up three pointers? Also, can you foresee a new league formed in which there was no three point shot and big man play was reemphasized? Sam: First of all, the big man is not extinct in the NBA. It's a cycle, but you are seeing some terrific big men come into the NBA who are becoming dominant players, like Embiid, Towns and Ayton, I believe, will be. Plus, I think you need to have one to help fend off those who have them. Which is one reason Dallas is doing well. It's not just Doncic. Getting DeAndre Jordan (and allowing him to practice free throw shooting) has made a difference. 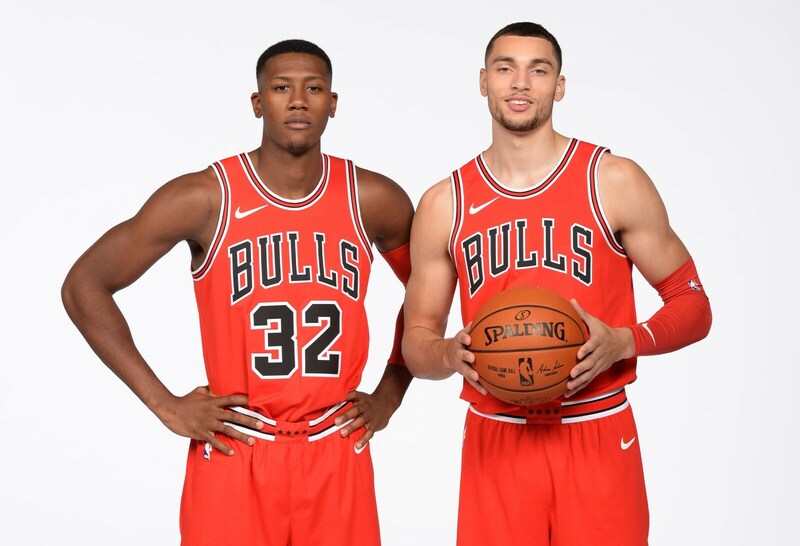 You see with the Bulls the issues Wendell Carter Jr. has with some big guys, which eventually will require some offensive changes to take advantage of his shooting ability. But don't discount what those players could do. There wasn't much reason to shoot from 25 feet then since it was also worth two points. Why it's worth three points and not a great drop step move is another issue. 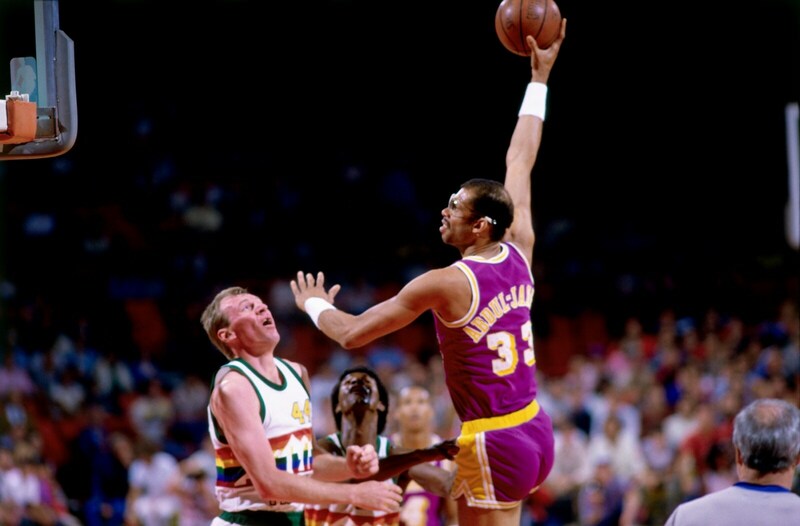 But Kareem was a terrific shooter who easily could have moved out to the three-point line. Wilt used to shoot a 15 foot wing bank shot because he was bored scoring so easily inside. He could easily have moved farther out. Hakeem was an excellent shooter who made most of his jumpers barely in front of the short corner three. Russell, nah, but he was the quickest, smartest, most adept big man defender ever and you'd have won a championship without him making any threes. You didn't mention Bill Walton, who once made 21 of 22 shots mostly jumpers in an NCAA title game. There are some great big men still, though none better than any of them.